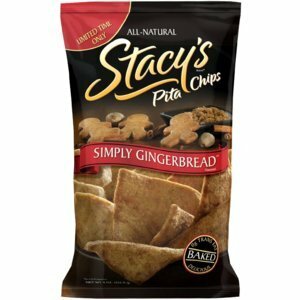 These Stacy's gingerbread pita chips are the bomb. They were an impulse buy at Target over a month ago you know what I'm talkin about... hard to get outta there without multiple "oh I do need this" buys. I later sent Eric back to stock up on about 5 bags. They are delicious and a perfect after dinner snack/dessert. And they are baked! A very important characteristic for chips I eat. Sadly the gingerbread is only limited edition (although I did still see them at BiLo yesterday) but I also discovered Cinnamon Sugar which are even better in my opinion! So these have become my go to ones. These are not limited edition but they don't carry them everywhere. For instance I saw them at our Walmart but not at a different Walmart. The original pita chips are yummy as well. No I am not compensated in any way by Stacy's. I just love these pita chips!